Day THREE of a week-long feature called "Feasting on the Talents of others" . 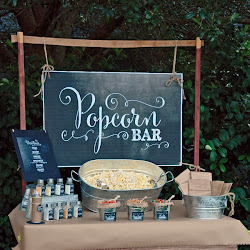 Lisa reached out to me awhile back and asked that I help her design a simple, fun invitation and coordinating printable party accessories for a baby shower she was helping to host. 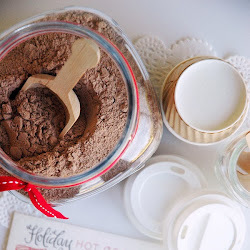 She'd already picked her color palette, knew she wanted to incorporate a baby carriage in the design and had already chosen to do candles as the party favor. You may remember me posting the full "Carriage collection" I designed.. 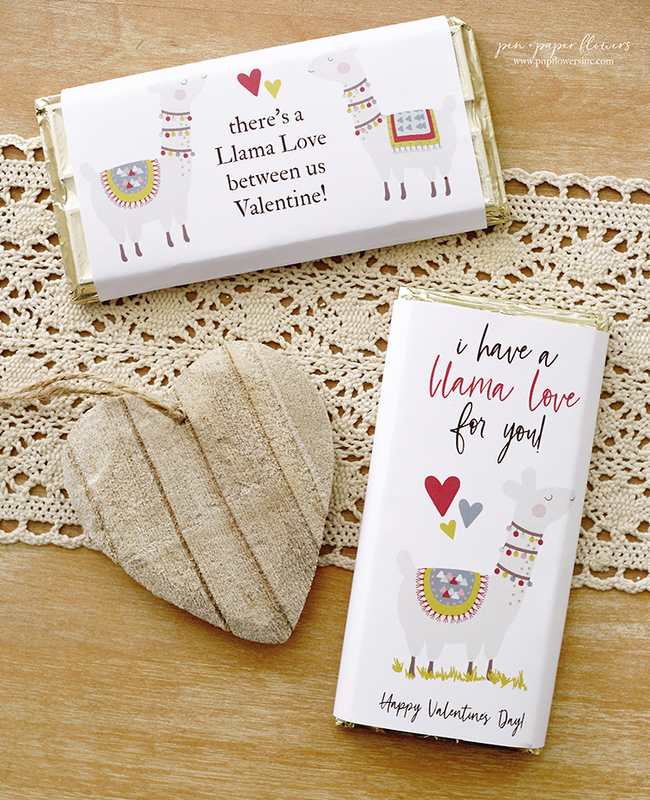 Pink and brown has been a long-time favorite color combo of mine so I was already loving the way the printables had turned out. 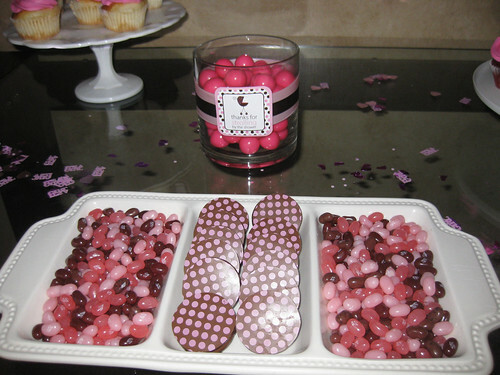 I think Lisa did a great job of creating a dessert table with coordinating sweets that tied in the theme wonderfully. 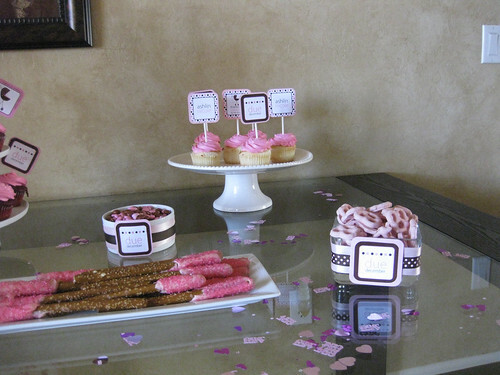 • the serving vessels wrapped with coordinating ribbon finished off with a cupcake topper. 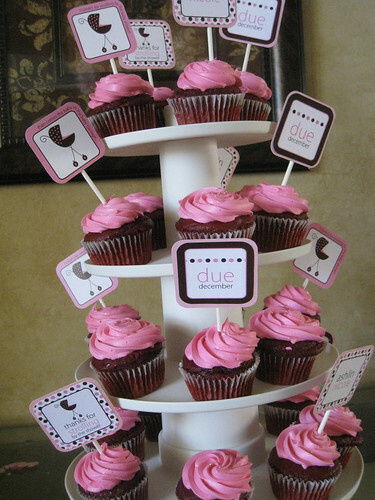 • Lisa's choice to display a tower of "chocolate" cupcakes as the focal point on the dessert table and then choosing to balance it out with two "vanilla" cupcake serving stands on both sides. I'm so glad Lisa came back to share photos of how everything turned out. It's always SO fun to see the clever and creative ideas of others. Thanks Lisa! 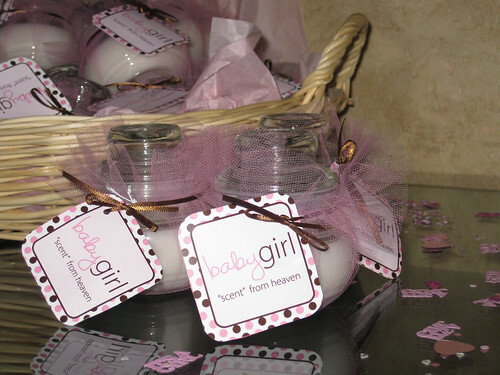 You really did a wonderful job at helping to make the baby shower extra special. Here's to a very productive day filled with last minute runs to the store and LOTS of baking. But in true Thanksgiving-fashion...I'm GOBBLING it all up!! 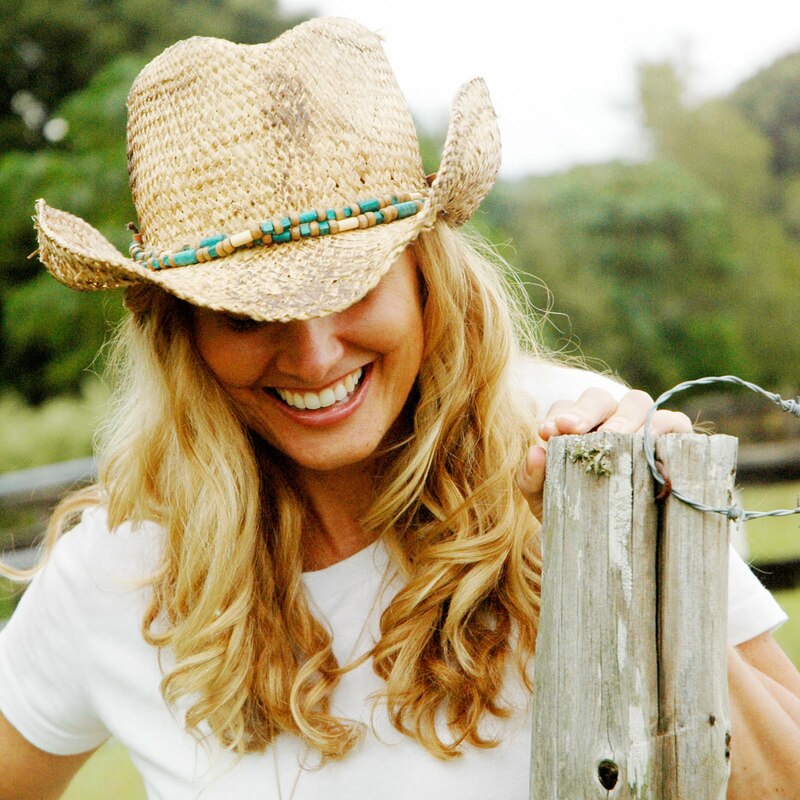 So glad you featured my friend, Lisa! 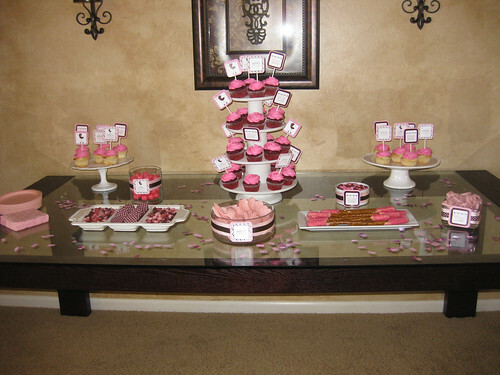 She borrowed some of my cake stands for the shower! Cute! Cute!